What is Guaranteed versus Non-Guaranteed Life Insurance? A guaranteed issue life insurance policy is one that guarantees your approval for coverage, while a non-guaranteed issue life insurance policy means you may or may not qualify for coverage. This is a type of permanent life insurance that guarantees your approval if you meet the age requirements for acceptance. For example, life insurance companies may provide guaranteed approval for anyone age 45-85, 45-75, 40-80, or 45-80. Get a Free Quote. The main issue with guaranteed life plans is that they come with a graded death benefit which means you won’t have full coverage until you have been insured for at least two years. That’s how the insurer can guarantee your approval for life insurance, even if you have serious health issues. If you pass away before you have been insured for two years, the insurer usually pays out all of your paid premiums, plus 10% interest on that amount. What Insurance Companies Offer Guaranteed Issue Life Insurance? There are several highly-rated insurance carriers that offer guaranteed approval policies, including United of Omaha, MetLife, AAA, AIG, and Colonial Penn, among others. The pricing, age requirements for approval, and amount of insurance available will vary by insurer. However, if you need more coverage, you may purchase guaranteed insurance from more than one insurance company. Here is a review of leading guaranteed life insurance companies. Note: Guaranteed issue policies are usually recommended for anyone who has health problems, has been turned down for life insurance, or needs coverage for their final expenses. This is the basic type of standard life insurance, which means you must qualify for coverage based on your age and health. Get a Free Quote. Non Guaranteed coverage may come in the form of term life insurance or permanent life insurance protection. Term life is temporary, providing coverage for up to 30 years, while permanent life provides lifetime protection. 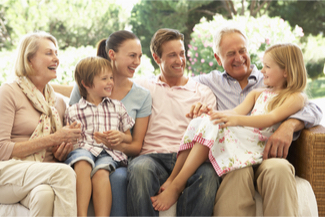 Traditional life insurance policies usually require a paramed exam paid for by the insurance company. This may include a brief interview of your medical history, blood pressure check, and a sample of your urine and/or blood for testing by a laboratory. Your answers on the application for life insurance; as well as, the results of your medical exam and testing will assist the insurance company underwriter in determining whether or not you qualify for coverage. You will either qualify at the quoted price, be offered a lower amount of coverage, be offered a higher premium, or be denied coverage based on the results of the underwriting of your application and medical exam for life insurance.